The biblical heroine Judith is the common theme of the baroque selection that will be performed by St Peter’s Church Choir this Sunday. 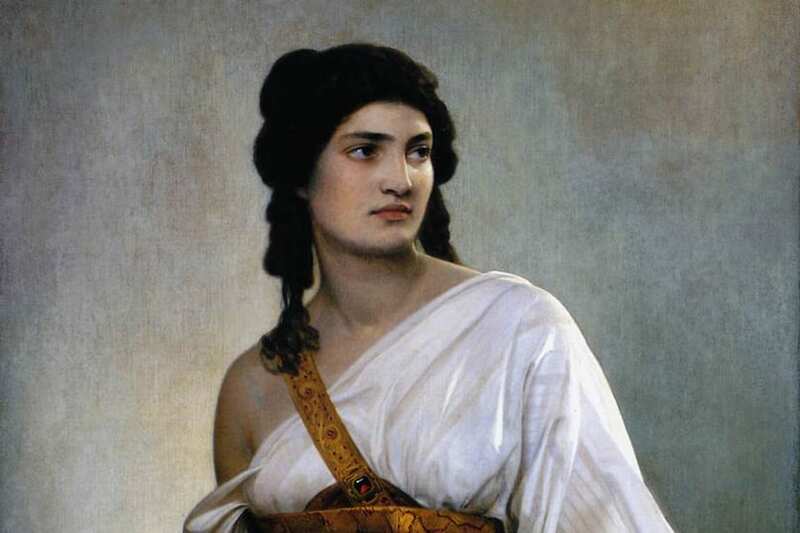 This Sunday, 18 June, there will be a one-time-only musical performance of ‘Judith’, featuring works by Baroque composers, Marc-Antoine Charpentier and Sébastien de Brossard, in the 1880 Hall attached to St Peter’s Church, Surry Hills. According to Eugene Raggio, Director of Music at St Peter’s, Surry Hills, and conductor for ‘Judith’, it is possibly the first time these works have been performed in Australia. “Perhaps I can’t go on the record saying they haven’t (been performed) ever, but they certainly haven’t enough,” he said. For about an hour, the audience will be entertained by the premier, nearly 20-strong St Peter’s Church Choir, along with “guest” musicians including soloists Charlotte Campbell; violinists Holly Doig and Alexandra Bell; Cellist Joseph Eisinger and Harpsichordist Nathan Cox; as well as a cellist and a harpsichordist. Eugene chose works inspired by the Biblical figure of Judith, the Hebrew widow who first charmed and then beheaded the warrior general, Holofernes, as recorded in the Old Testament book bearing her name. Judith became a figure of fascination for Baroque artists, inspiring works by painters such as Caravaggio, Rembrandt and Peter-Paul Rubens. She was also a muse in the world of music and inspired works by Charpentier, who worked as maître de music of San Chappelle in Paris at the turn of the 17th Century, and de Brossard, a priest and self-taught musician. Charpentier’s oratorio Judith sive Bethulia liberata and de Brossard’s cantata Judith ou la mort d’Holopherne will both be performed this Sunday. As well as a musical first for Australia, it is Eugene’s hope that this performance will help turn St Peter’s into a “hive of artistic and community activity”. Walking distance from Central Station and several universities, St Peter’s is a perfect spot for a future artistic hub. “That is, people who are not necessarily affiliated with the Church, but who have a great passion for music and might want to come along and see what we are doing,” he said. “The performance might be framed as an ‘evangelisation tool’, but I would prefer the term outreach,” he said. ‘Judith and the French Baroque’ will be presented this Sunday at the 1880 Hall adjacent to St Peter’s Catholic Church, 235 Devonshire St. Surry Hills, from 3pm. Tickets available at the door.